This is the only bit of the wall left that we saw. 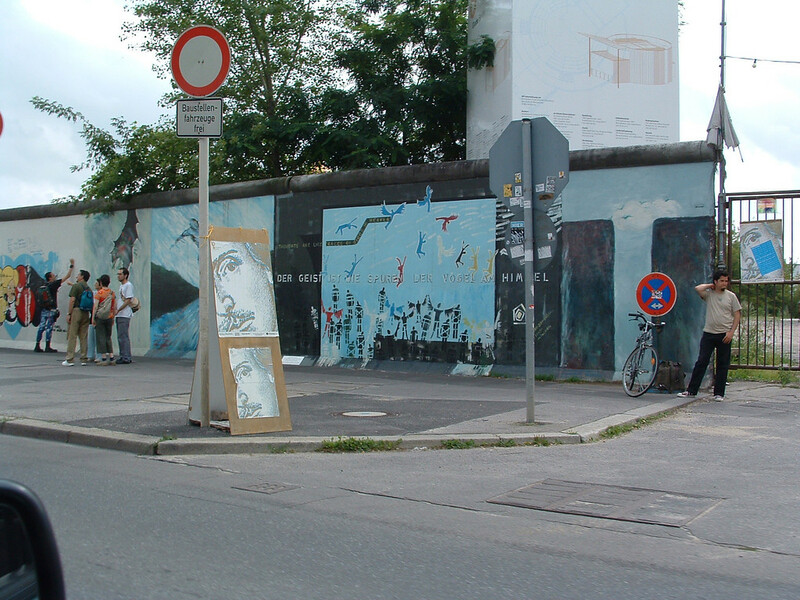 Most of the wall has been completely demolished, and there is little left to suggest that this city was split into two up until just under 15 years ago. In a way this is a shame – there are no reminders of what went before, although it must live on vividly in the minds of those who lived through it. This part of the wall is colourfully grafittied. At one time this was a significant stamp on a powerful symbol representing both imprisonment and freedom. Now it seems so mass produced, packaged for a teen market, and ready for the next bus load of tourists to stand in front of and be snapped.